In case you are expecting only excitement in raising your kids, you need to know that it can also be quite challenging. More specifically, you can run short of clues regarding what to do when you want to teach your kids some good habits. IDAHO FALLS, Idaho - Feb. 1, 2018 - PRLog -- In case you are expecting only excitement in raising your kids, you need to know that it can also be quite challenging. More specifically, you can run short of clues regarding what to do when you want to teach your kids some good habits. Among those good habits are the dental and oral habits. Kids are naturally careless, and oral and dental habits are much sophisticated in nature. Nevertheless, there are some ways you can effectively convince your children to practice dental hygiene on daily basis. Before you consider telling your kids about good dental hygiene, you need to know about good dental hygiene first. With this knowledge in mind, you will be able to tell your kids about maintaining dental hygiene in better way. · Brushing teeth thoroughly twice in every day. One thing worth mentioning here is that children cannot understand the importance of dental hygiene. (http://www.swentertains.com/tips-root-planning/) It's relatively wider knowledge for children. What you can do is to make dental hygiene practices interesting for your kids. 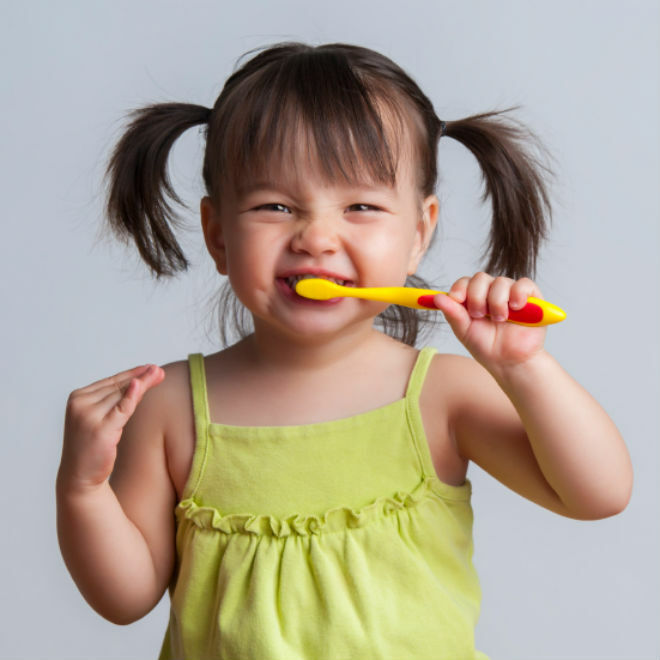 While following these good habits, your children will start understanding logic behind these habits without getting their oral and dental health surrounded by health conditions. Some ways you can help your children to have these good habits are described below. 1. Buy your children the toothbrushes they like. It means that the toothbrushes should reflect their personality. Children toothbrushes are available in variety of colors and styles. You can get your children the ones they find interesting to hold in their hands. 2. While it may be difficult to teach a serious lesson of brushing teeth, you can make it easy for them and for you as well by making it a game activity. You can act like a judge to analyze who has cleaned the teeth more than others. This way, the children will brush their teeth more carefully for the sake of winning competition. 3. While you shouldn't give rewards in terms of pocket money, you can add a few extra minutes of game time for the kids who would brush their teeth well. 4. Instead of teaching your kids the dry lessons about brushing and emphasizing importance of it in serious tone, you can actually find some stories about it to tell. Children love stories. You can tell them these stories to convince them about the benefits they can get by brushing and flossing. 5. Sometimes, children don't tend to get what you tell them. if your child is not responding to the efforts you make in order to make him brush well, you can ask your kid to come and practice teeth brushing while you brush your teeth.